Educate Tomorrow - Bring Educate Tomorrow to Your Community! Do you work for an academic institution, a high school or a youth development organization that wants to expand its programs and better serve foster youth in their pursuit of education? Educate Tomorrow believes in making our programs as accessible as possible to communities around the country. Our top priority is supporting foster youth through the course of their life with an emphasis on their educational attainment. We believe in partnering with existing organizations to enhance a community's assets. Educate Tomorrow offers several ways for a community to incorporate our successful programs and activities. With over twelve years of results in cultivating student success of foster youth and with solid outcomes at the largest institution of higher education in the United States (Miami Dade College and other institutions including Florida International), Educate Tomorrow is poised to expand its reach in new markets. By proving the Educate Tomorrow model, producing solid results and succeeding in your region, we can demonstrate to larger funders and government a proven solution to a national issue. Educate Tomorrow has received support from our national partner Charity Services Centers to assess and pursue expansion into other markets including San Francisco, San Antonio and Colorado’s Front Range. Educate Tomorrow recognizes that each community has a unique set of resources and assets to offer foster and other disadvantaged youth. Educate Tomorrow's expansion team works with you to understand your highest needs and determine which programs are best suited to help you accomplish your goals. Educate Tomorrow's support to institutions and organizations may come in the form of initial seed funding, human resources and/or capacity building, depending on your goals, interests and needs. Scholars Program: Offer your college-bound foster students an opportunity to be awarded up to $1,200 per semester that can be used towards school and living expenses. Performance awards are also offered for good grades and degree (or certificate) completion. This program is an opportunity for further engagement and development of students’ life and school success skills. As such, the partnering organization is asked to provide case management and program coordination. Peer Mentor (ChangeMakers): Mentoring is key to a foster student's success. Educate Tomorrow works with partnering organizations to develop a Peer Mentoring program through which the student mentor receives a monthly stipend. The Peer Mentor coordinates and manages the scholars and other Educate Tomorrow programs that may be offered. The Peer Mentor can be recruited from your pool of students or a partnering organization and can also be a scholar. Typically one mentor can manage 10 scholars or students. Mentoring App: Use this mobile or desktop app as a case management tool to connect your students with mentors and help them stay on track with their life and school goals. Students earn points for their successes which can be used to “purchase” rewards. Life Skills Curriculum: Educate Tomorrow has developed curriculae based on the Casey Life Skills assessment that can be used for your program participants. Mentoring Training: If your organization would like to implement or enhance its mentoring program, Educate Tomorrow can train your staff on successful program elements including recruiting, selecting, managing, training, tracking and measuring. Professional Mentors: Enhance your organization’s current programming by adding a professional mentoring component that links students with mentors from the community. Educate Tomorrow can train your staff on how to set this up and work with you to implement this program. College Coach: This is a dedicated onsite staff person for Educate Tomorrow programs at an institution or agency. The coach supports foster students to navigate financial resources including tuition waiver, education and training voucher and scholarships, as well as coordinating and delivering other forms of student success support. Resource Center: As a physical location at your institution or agency, the ET Resource Center provides a safe place for foster students to study, receive tutoring, apply for jobs, prepare for entry to school (assessments) and learn about other community resources such as housing, food and jobs. It is also the site for group events such as birthday parties, graduation celebrations and life skills classes for program participants. Educate Tomorrow can advise how to set up our own virtual or physical center and/or work with you on funding for a Resource Center Coordinator who can double as a College Coach. Statewide Advocacy: Educate Tomorrow has been critical in developing a statewide network of foster youth program coordinators in Florida. 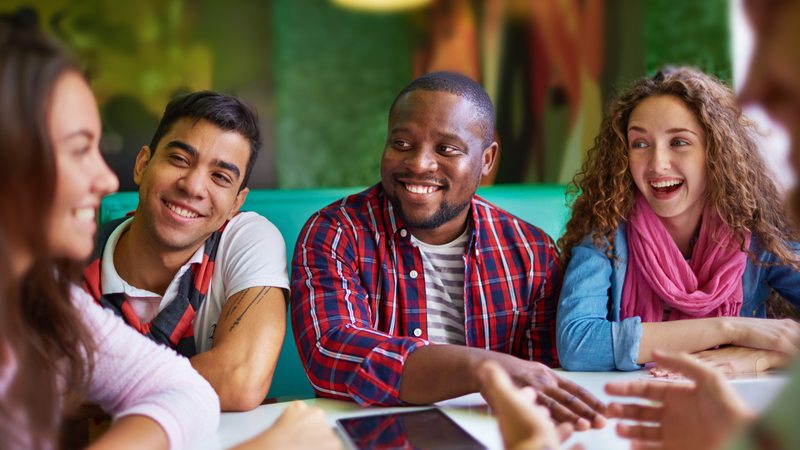 We are now actively developing a national network of states to share best practices and promote statewide initiatives that support educational opportunities for foster youth. Educate Tomorrow can also assist with promoting legislation in your state for increased impact such as the tuition waiver. Want more information about how to bring Educate Tomorrow to your community? Please fill out the form below.